/About My Account /How do I cancel my account? While you’re signed in to your account, click on the Account icon at the top right of the page and select “My Account” from the drop-down. This will take you to your account’s Dashboard. Once you’re there, click “Settings” in the toolbar to the left. 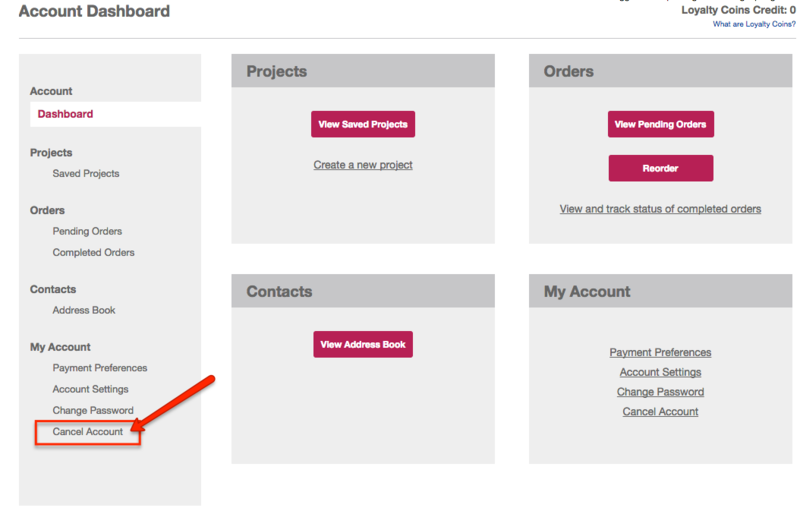 On the next page, click the “Cancel Account” link next to Shipping Address, Change Password, and Newsletter. PurpleTrail respects your right to privacy. We do not sell or share your contact information with anyone. 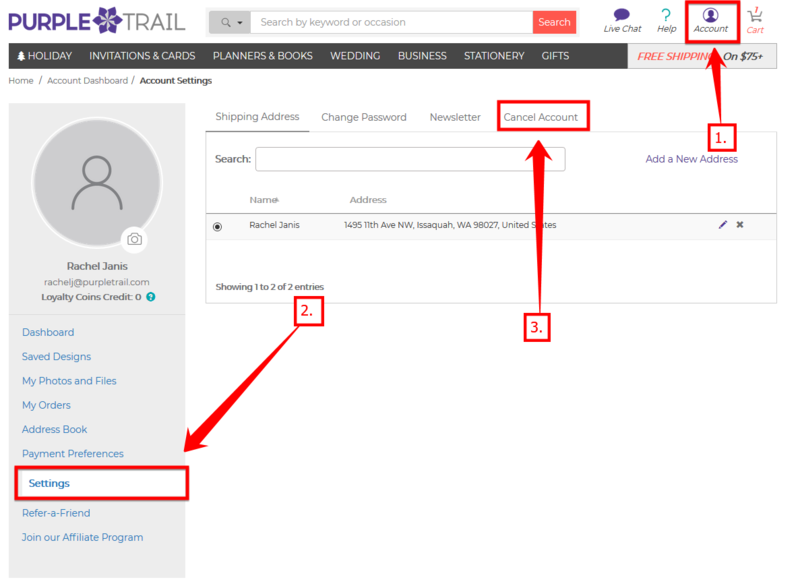 If PurpleTrail did not live up to your expectations, we request that you share the reasons for canceling your account by sending us feedback so that we can improve our service.